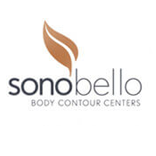 Sono Bello Kansas City is a premium body contouring center located in Overland Park, Kansas. This state-of-the-art clinic prides itself on offering the latest proven effective treatments. Sono Bello Kansas City offers both non-surgical and surgical treatments—the choice is yours. For sleeker thighs and a slimmer waist, choose from Sono Bello’s celebrity favorites, like VelaShape, cellulite removal, Venus Freeze, Vaser Liposelection, TriSculpt, and laser liposuction. Sono Bello Kansas City is currently offering free consultations through Plastic Surgery Portal. Your consultation provides you the opportunity to learn more about you body contouring options, and to create a customized treatment plan that fits your needs. To learn more about Sono Bello in Kansas City or to schedule a free consultation, contact our representatives now. Sono Bello Kansas City looks forward to meeting new patients from Mission, Prairie Village, Leawood, Lenexa, Grandview, Overland Park, Shawnee, Olathe, Gladstone, Independence, Lee’s Summity, and beyond. Sono Bello - Overland Park offers Complimentary Consultations.